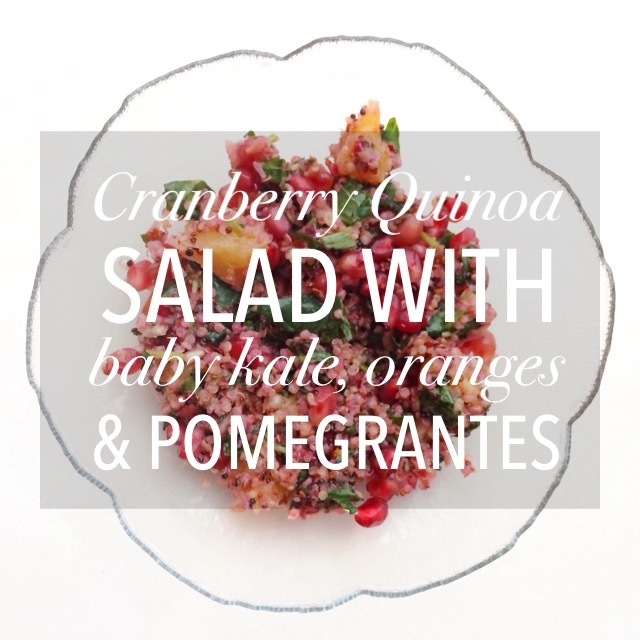 This Cranberry Quinoa Salad is vibrant, fresh and intensely colorful. Something about citrus and cranberries screams the holidays. This salad is a fresh take on the classic dish of cranberries and oranges. The sweet pomegranate seeds and orange wedges balance the tart cranberries. The quinoa adds sustenance, while the fresh mint adds flavor. Pair with a roasted chicken (we had orange-citrus and rosemary marinade with this salad and fresh butternut squash), add in nuts for more of a meal, or enjoy with a cup of soup. This salad is a perfect addition to your holiday entertaining — even the colors beckon you to add this to your entertaining arsenal, lunch rotation or just as a fun, colorful and delicious side to any meal. 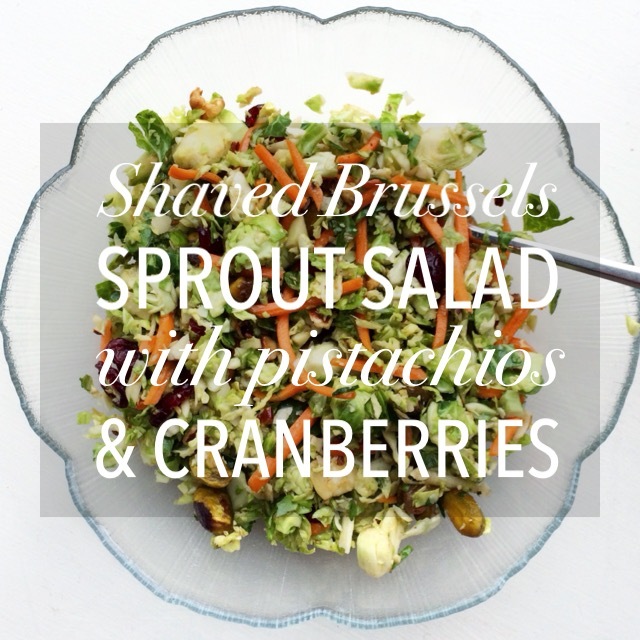 Bet you can’t guess where I found my inspiration for my Shaved Brussels Sprout Salad with Pistachios and Cranberries recipe — Pinterest (obviously). I’ve come to like Brussels sprouts. For Thanksgiving at my dad’s parents’ house, I would go to their garden, bursting with late fall veggies, and my task would be to pick the Brussels sprouts to have for Thanksgiving dinner. Of course I would painstakingly pick them, but I would never eat them; I didn’t even get to enjoy my labors then, but I love this salad; it’s light, different, innovative and totally tasty. I made a few changes — I served this raw instead of cooking everything in a skillet. I like the crunch and flavor of the Brussels sprouts this way. Plus, transforming them from their solid form to a shaved one, you wouldn’t know you’re eat Brussels sprouts. For some color, my mom thought shredded carrots would make a nice addition. The pistachios are a decadent and unusual crunch, the parmesan — flavor and the craisins and fig balsamic (a local purchase from Ithaca) — a needed sweetness to combat and balance the salad’s earth tones.